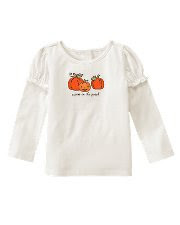 Janie and Jack is a lovely Children's clothing store. I always love to go in and browse when I visit Orlando. Of course, like everything else I like, it is very expensive. Sometimes you can find a good sale, but I often want what is in season now. 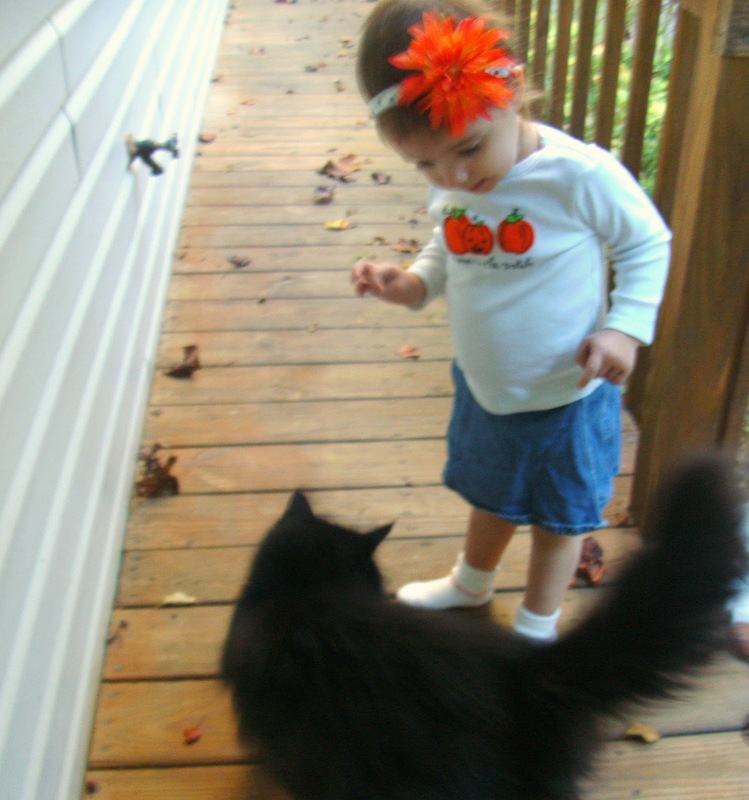 This year they have the cutest Halloween collection. I really loved this little t-shirt($28). 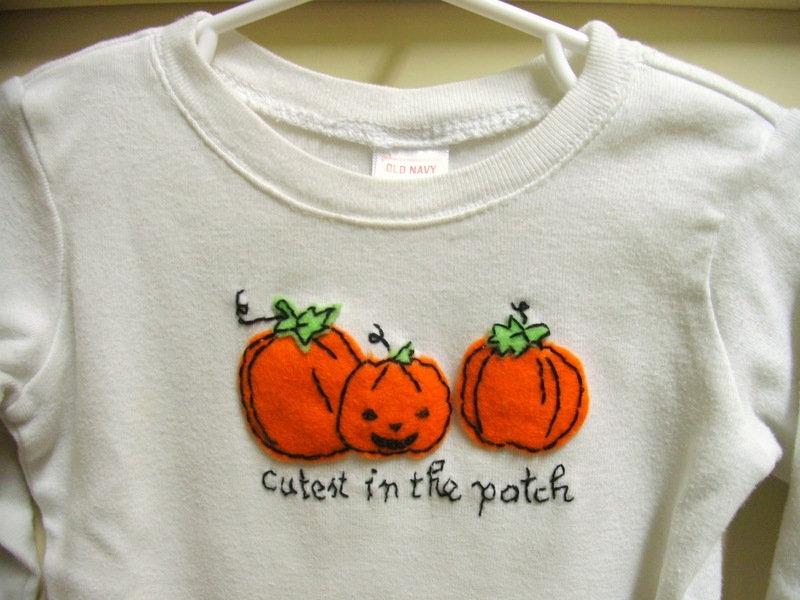 Appliqued felt pumpkins with the caption "cutest in the patch" embroidered beneath. So cute! So the other day as I was organizing Char's closet, I stumbled across a plain white t-shirt, and I was inspired. The one I made is girly, like the original, but I think with a few minor adjustments it could be made for a little boy too. 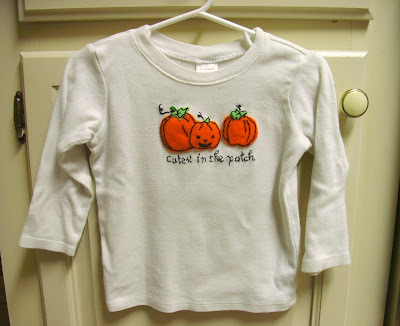 If you'd like to make one for your little one - here's the tutorial! 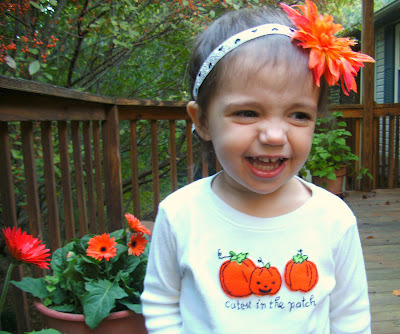 Step 1: Draw a sketch of the pumpkins, or print mine out here. 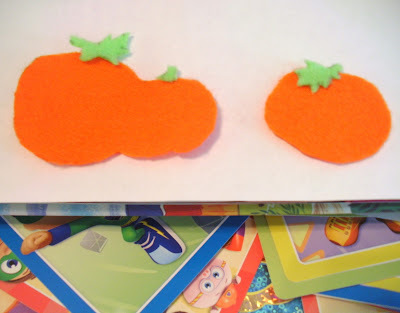 Step 2: Cut out your paper patterns and trace them onto the correct colors of felt. Step 3: Cut out the felt pumpkins. Step 4: Thread a needle with 3 strands of black embroidery floss. You are going to embroider the "inside" detailing of the pumpkins - the lines and the jack-o-lantern face. 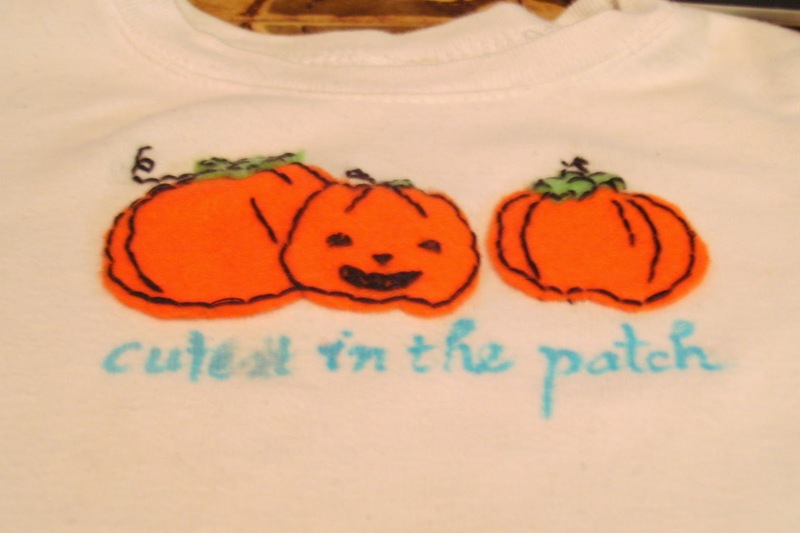 Step 5: Pin the pumpkins to the t-shirt. I focused on centering the jack-o-lantern and then arranged the other two around it. Step 7: Write the caption under the pumpkins with a fabric pen. 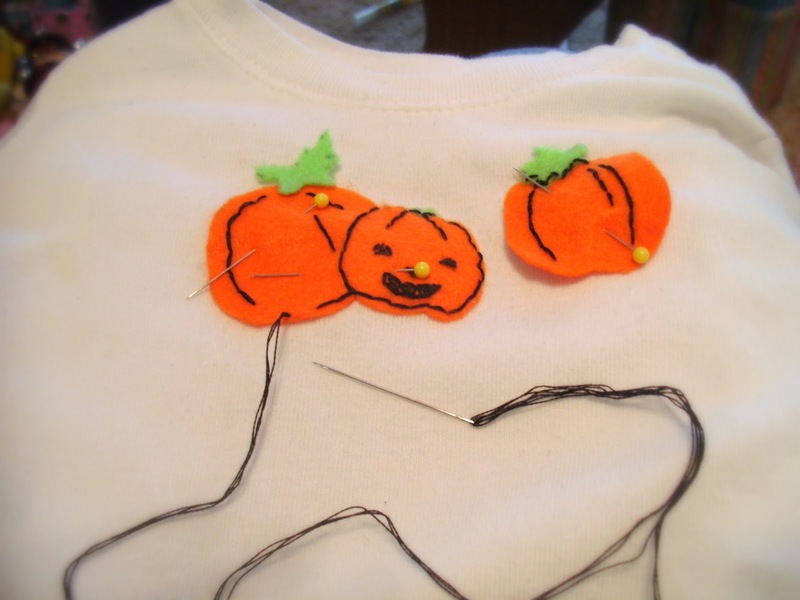 Step 8: Thread your needle with 2 strands of black embroidery floss and follow your letters, embroidering the phrase. Step 9: Rinse the fabric pen off and Ta-Da!! You're all set! Put it on your little pumpkin and enjoy the fall weather! Have a great weekend!